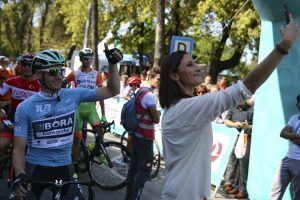 Italian cyclist Diego Ulissi of the UAE Team Emirates became champion on general classification at the 53rd round of the Presidential Cycling Tour of Turkey, which was held this year at the World Tour category for the first time. 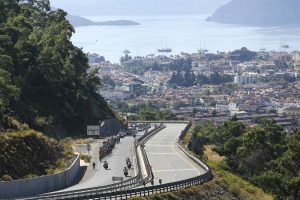 The cyclists and their teams received their awards with a ceremony held following the end of the Istanbul stage, the sixth and final stage of the tour. 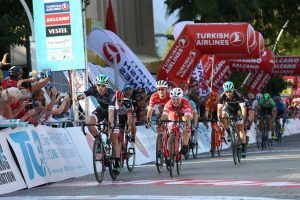 The 53rd Presidential Cycling Tour of Turkey, which kicked off in Antalya on Oct. 10, ended today with the sixth and final stage in Istanbul. The cyclists who came in top three in the final stage, owners of the turquoise, red, green and white jerseys, and winners of the team classification were given their awards and trophies with a ceremony joined by Minister of Youth and Sports Osman Aşkın Bak, Secretary General of the Presidency Fahri Kasırga and Deputy Secretary General and Spokesperson of the Presidency Ambassador İbrahim Kalın. 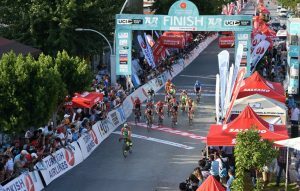 The 53rd Presidential Cycling Tour of Turkey, in which 14 cyclists from 13 teams participated, spanned a total of 1,025 km in six stages, namely Alanya-Kemer, Kumluca-Fethiye, Fethiye-Marmaris, Marmaris-Selçuk, Selçuk-İzmir, and Istanbul. Teams with WorldTour and professional continental team licenses competed in the tour, which was held at the World Tour category for the first time. Three professional continental teams from Italy as well as one from Poland, Russia, Brazil, Belgium and Spain each; WorldTour teams from Kazakhstan, the UAE, Germany, the USA; and the Turkish National Team took part in this year’s competition. 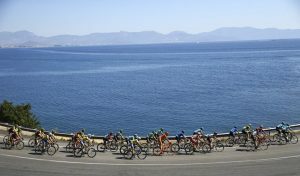 The Presidential Cycling Tour of Turkey (TUR) started in 1963 with the name of "Marmara Tour", gained international status in 1965 for the first time and was taken under the auspices of the Presidency in 1966. 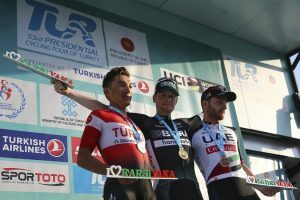 World-renowned teams and cyclists competed in this year’s Presidential Cycling Tour of Turkey, the only intercontinental cycling competition in the world.